It’s spring in White Rock and that can only mean one thing – cherry blossoms (and plum and magnolias)! The streets are awash with pink and white petals and we are loving the amazing photos being shared across social media channels. We all know that blossom season doesn’t last forever … so don’t waste any time if you want to see these trees in all their glory! Not sure where to go? 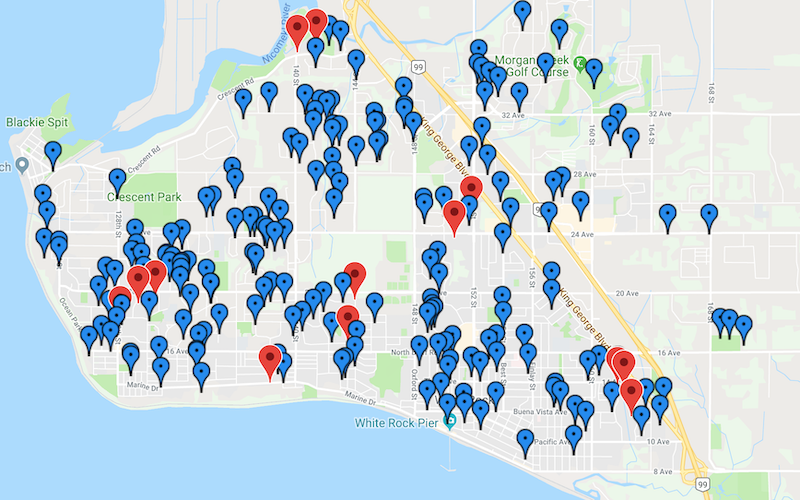 The Vancouver Cherry Blossom Festival’s Neighbourhood Map features almost 3000 cherry blossom tree locations across Metro Vancouver, including White Rock. It will tell you which cultivars are blooming and where to find them.